The Syrian Electronic Army compromised the website of the International Business Times (IBTimes) on Wednesday, altering a news feature and threatening to delete the entire website over the news organization’s coverage of events in Syria. Mark Bonner, the managing editor of IBTimes, confirmed the attack in a message posted on his personal Twitter account. The rest of the website appeared unaffected by the attack. IBTimes reported on its own compromise in an article posted after the attack. Reporter Alessandria Masi said the deleted article had been written by her, and that the altered article published by the Syrian Electronic Army in its place carried the byline of a colleague working in its India bureau. The news agency has since reproduced the deleted article. 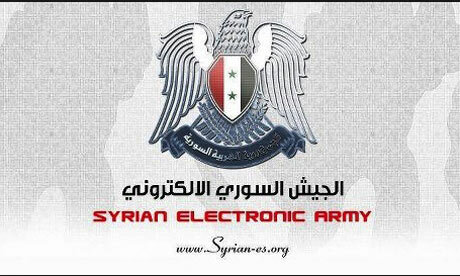 A spokesperson for the Syrian Electronic Army confirmed to The Desk that the group was responsible for the attack on Wednesday and threatened further vandalism “if they published another” story on Syria. The group has been known to target media organizations with which it disagrees with. Last year, the group claimed responsibility for attacks on weblogs run by CNN and Thomson Reuters, and has targeted a number of social media accounts belonging to national and international news organizations including the Associated Press, Agence-France Presse and Deutsche Welle. Some have claimed that the hacking group has direct ties with the Syrian government, although members of the group have denied this in interviews with The Desk and others.